Congratulations to Timothy O'Donnell on an epic race today down in Brazil(8:01:28 - course record). May this be the first of many more titles to come in your career. CEC is having a solid year - way to go Cliff! "Team RWB is facilitating consistent opportunities for veterans to come out and be with other veterans---and members of their community who haven't served in the military---and create a bond with each other. We know that every community is different, and the population in every community is different....and because it's done locally, we can tailor our programs to the needs of the veterans in each community. " Let 2013 the season officially begin! A huge congratulations to Timothy "TO" O'Donnell on strong podium finish today at Iron Man 70.3 San Juan. After a mishap on the bike course, TO in vintage form collected himself, finished the bike and came onto the run course blazin'! The winner Andrew (Andy) Starykowicz had an impressive race all around and this earned him TOP spot today - CONGRATS Andy! 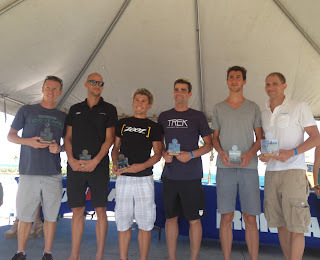 Team Red, White & Blue was represented in high style, not only by TO & Andy - Ryan McCready had a top 10 finish in his age group (30-34), which qualified him for 70.3 Worlds in Vegas - Congrats Rhino! We also want to extend our congrats to TPR favorites, Mirinda Carfrae, Linsey Corbin, Michael Lovato and Maxim Kriat - nice work all. TriPainRelief - ($10, tripainrelief.com) If ever there was a time to look after your body after a beating of a season, this is it. Guest Post: Elizabeth Carrollton "Alternatives to Alleviate Joint Pain"
Joint pain is a very common problem, especially in weight-bearing joints like the hips and knees. These joints take a great deal of punishment every day, absorbing the shock of your footfalls as you walk, run or jump, and carrying much of the weight when you lift, lug and carry. 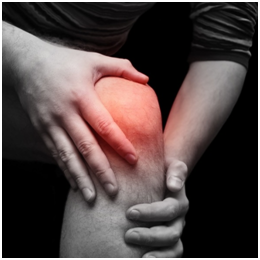 Given the stress they are placed under throughout the typical day, it's no surprise that knee and hip injury are common issues, as are chronic joint problems like knee or hip arthritis. Alternatives to alleviate joint pain range from medication and exercise to complementary medical practices and, in severe cases, joint replacement surgery. Congrats to our dear friend Linsey Corbin on her great win today at IM Austria - 9:09:58 with a 3:11 marathon. Great work on a challenging and from all accounts very hot day. Congrats to the Faris Al-Sultan on his win - 8:11:31with a 2:50 marathon - wow!